Chinese basketball star Yao Ming played for the Houston Rockets for nine seasons before he retired from the sport in 2011. 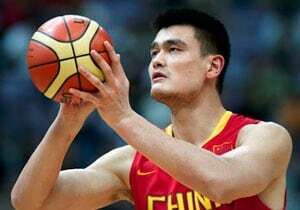 Former basketball star Yao Ming was officially named goodwill ambassador of the American city of Houston by the city's mayor at a ceremony in Houston, Texas. Yao, the former Rockets center who lived in Houston for 10 years, was also given the key to the city by Mayor Annise Parker at a ceremony in downtown Houston on Friday, reports Xinhua. Yao was appointed as Houston's Goodwill Ambassador because of "the outstanding success" he has had as a professional basketball player for the Rockets since 2003. Yao said it has been a happy stay for him in the eight years, during which he participated in the All-Star Games, fostered international connections and enjoyed the cultural enhancement he has brought to the Houston community. The title is also a recognition of the contributions Yao has made and is making "through unselfish public service for the benefit and welfare of humanity", the proclamation said. "Houston has been enriched by your presence and is grateful for your dedication to improving the cultural fabric of our city," it said. Yao, who retired in 2011 after having played with the Rockets for nine seasons, was back in Houston from China for the NBA All-Star game as a judge of the Slam Dunk Contest.